There are few simple ways to buy bitcoins online including bitcoin exchanges that accept credit/debit cards, ACH bank transfer and cash deposits. This simple tutorial will tell you the most simple ways to buy bitcoins online and how to secure your digital assets, so keep reading! How long have BTC been around? Since its release in 2009, bitcoins became quite popular in various regions of the world. 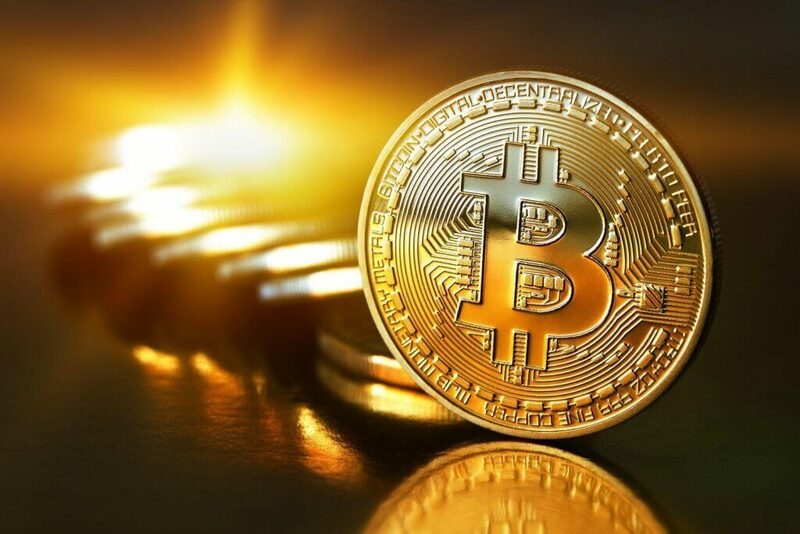 Investors have since helped the cryptocurrency to build sufficient infrastructure for the BTC trade and bitcoin, in turn, has grown substantially in growth. As a result, bitcoin exchange brokers have developed tools for traders to purchase and sell bitcoins easily and instantly online. 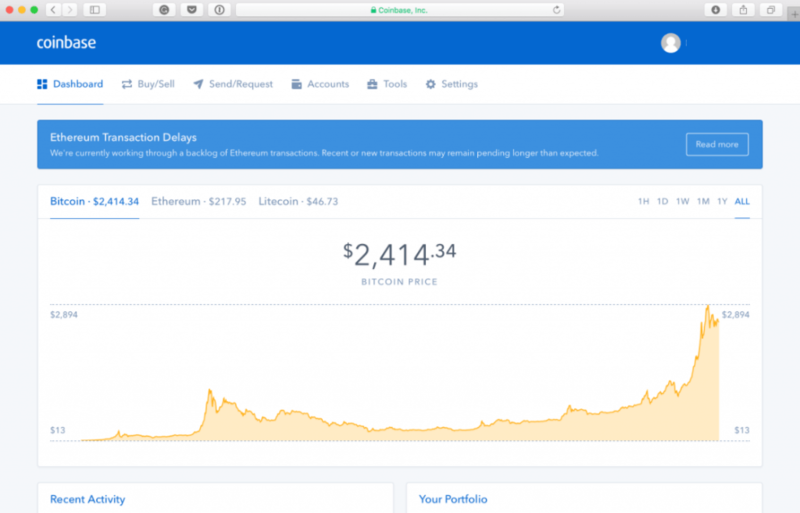 This guide will show you that buying bitcoins is nothing complicated and can be done from the comfort of your house once you learn the basics on how to purchase cryptocurrency online. The methods that this article shall cover are credit or debit card, virtual credit card, PayPal, bank transfer and cash purchase methods. Additionally, various exchanges shall be covered by this tutorial as to give you a sound background on how and where to buy BTC, depending on your residence location. Why Bitcoin Becomes More Popular? How to Buy Bitcoins with MasterCard? How to Get BTC with Cash? 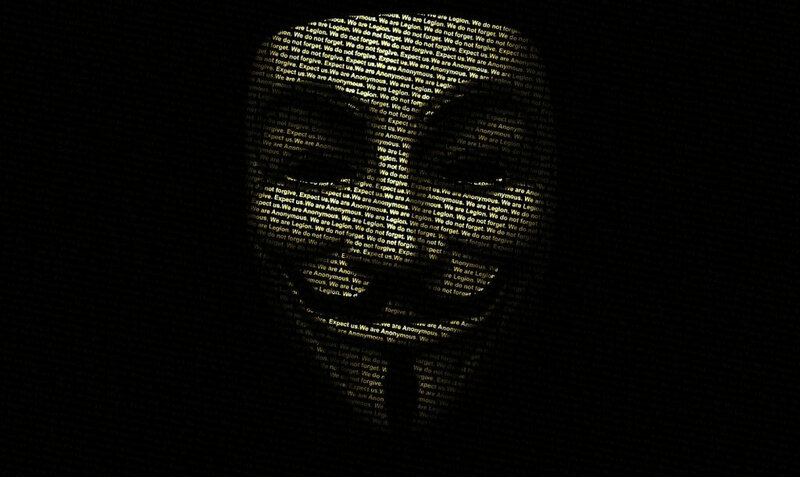 Can I Stay Anonymous When I Order BTC? How Long to Get 1 Bitcoin? Should I Better Buy or Mine Bitcoins? Can I Buy Stock in Bitcoins? Do I Need Physical Bitcoin? Why Do Chinese Buying So Much Bitcoins? How Else to Get BTC Besides Buying? Why You Shouldn’t Trust Altcoins? How to Get Bitcoin in United Kingdom? Where to Buy BTC in Canada? 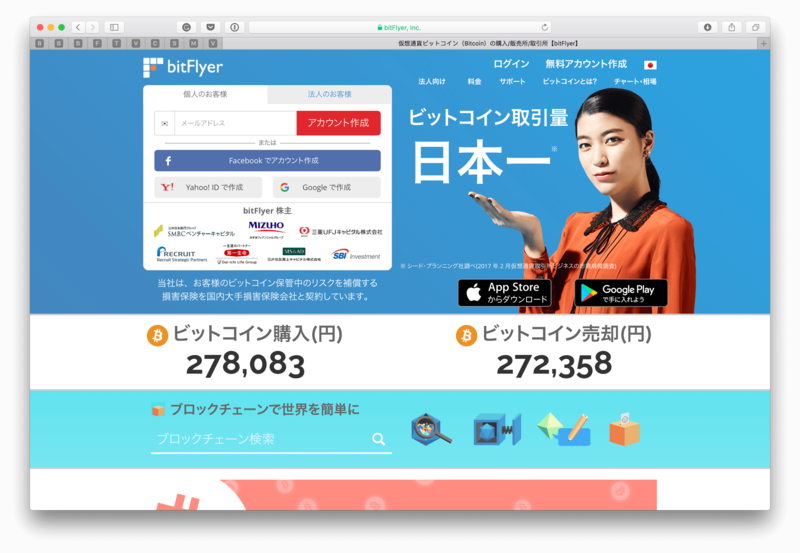 Can I Get BTC in Japan? How to put money on bitcoin? Depending on where you live, there are numerous ways to buy bitcoins. 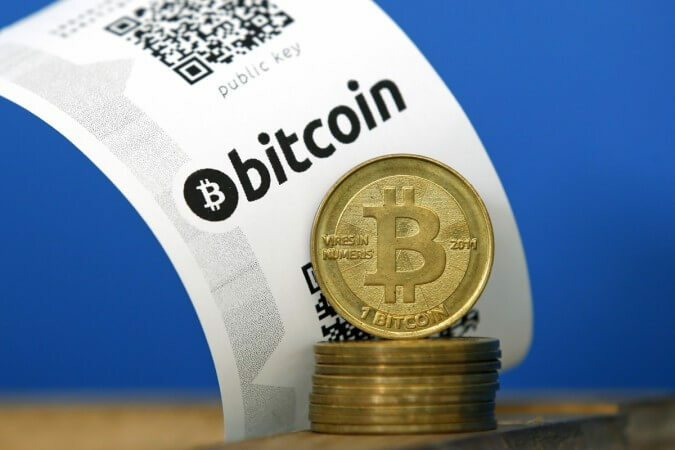 The exchanges have offered various methods for bitcoin purchasing and are trying to offer competitive pricing for customers to buy BTC from them. These exchanges can be grouped into two important categories: peer-to-peer and brokers. The peer to peer (P2P) exchanges offers a unique marketplace where traders engage in bitcoin transactions between each other. You find a person much like you and buy bitcoins directly from them. You would need to find a trader that is reliable and that offers a payment method that suits your needs. Exchange brokers offer larger quantities of BTC with a variety of payment methods for you to choose though they charge transaction fees depending on the volume, verification level and payment method chosen. Lastly, the methods themselves differ in fees, availability and processing time. In this tutorial, we shall walk you through each of them in terms of their pros and cons, fees, limitations and general availability. This guide was created by a group of bitcoin professionals that have been engaged in BTC market for quite some time. 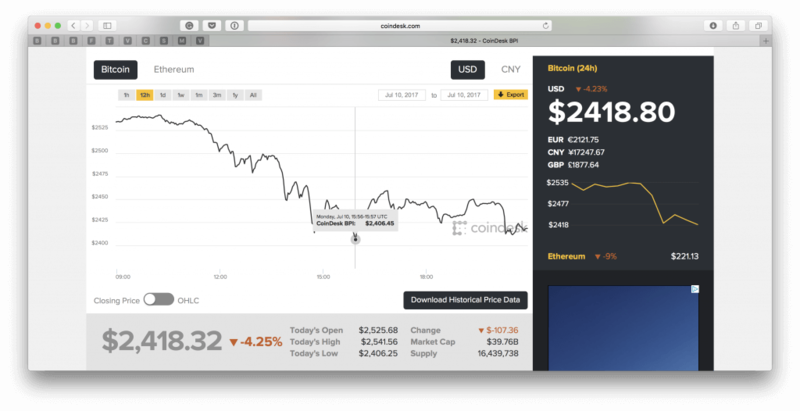 We are experts bent on bringing you fresh news about bitcoin trends, milestones, and events. We are here to help you turn money into BTC. As advisors, we hold in-depth knowledge on bitcoin purchasing processes, exchanges and payment methods. The main goal of the group is to help customers join the club of traders who are getting rich off cryptocurrency trading. If you need help on when and where to get them, have a question or need directions for further growth, we would help you get answers you need to grow yours investment portfolio and make a sustainable profit. Why do people buy BTC? Since its creation, bitcoin grew in value and investors that were willing to risk their funds and invest in new cryptocurrency. The reasons for such development are very simple. First, it is not controlled by a single entity but rather by the overall market. Each trader can set the BTC price, thus the digital currency is completely decentralized, leaving room for competition. The second reason is the possible asset-like behavior of the cryptocurrency; you can buy it cheap, lend it to someone, sell it and farm it yourself. As the value grew, so did a number of people mining the digital currency who would then sell it to investors who would then resell it when it grows in price. 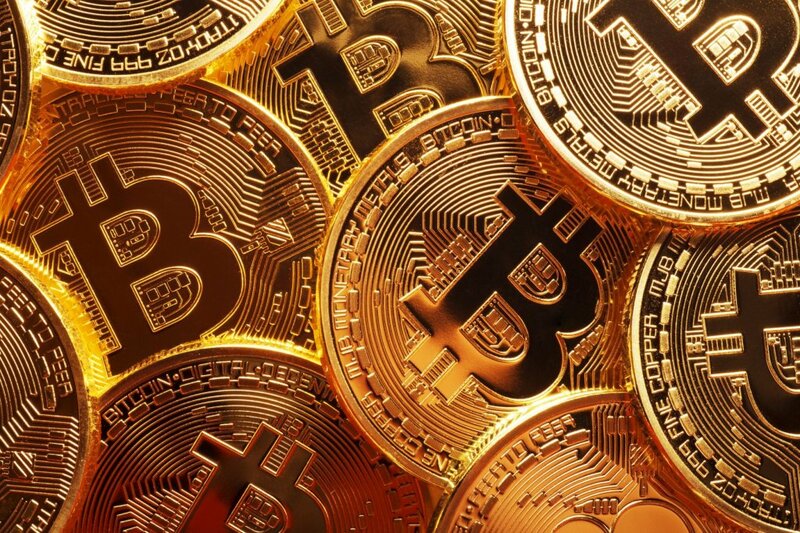 Lastly, bitcoin could be bought, mined, sold and used anywhere in the world, creating a single currency system for many different regions of the world. “Normal” currencies such as USD and EUR are prone to have value differences that would affect investors that work with both of them, while BTC does not have that problem. When to buy bitcoins? As an investor, you need to track bitcoin’s price trends on the daily, weekly and monthly basis. BTC is a highly fluctuating currency, changing its value rapidly on an hourly basis while at the same time; the changes are made by traders themselves as they are the ones who set the value. For this reason, tracking various price charts provided by BTC community is a must for you in order to accurately predict its behavior in coming period. 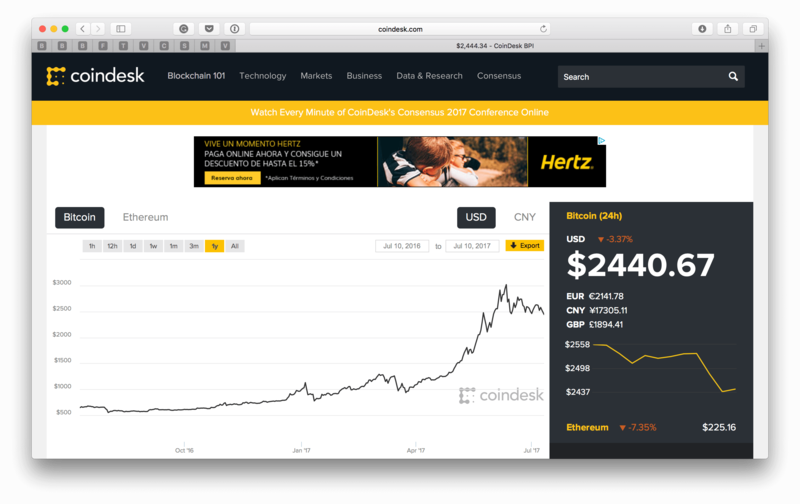 The charts could be found in specialized websites like CoinDesk. This website offers information about BTC price on daily, weekly and monthly basis while the value is presented in various currencies. 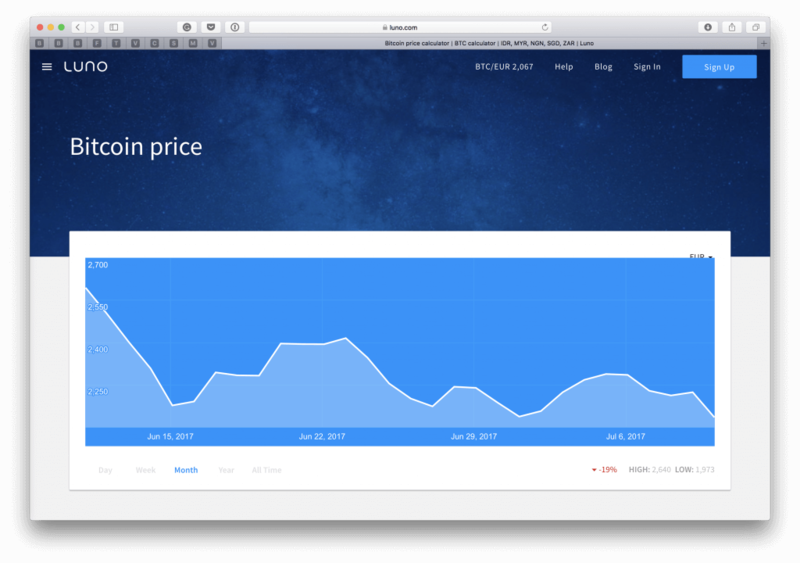 Some exchanges like Coinbase and LocalBitcoins offer information on BTC’s price trends, based on what was sold and offered on their platform. It would be your job to identify events and reasons on why the price rose or fell. Once you understand why at certain point has price changed, you could predict its future value fairly accurately and quickly. How to change perfect money and what PM exchanges are out there? As we mentioned before, there are two types of BTC exchanges that you could buy bitcoins from. The first is a P2P platform, where traders would buy and sell them to each other. 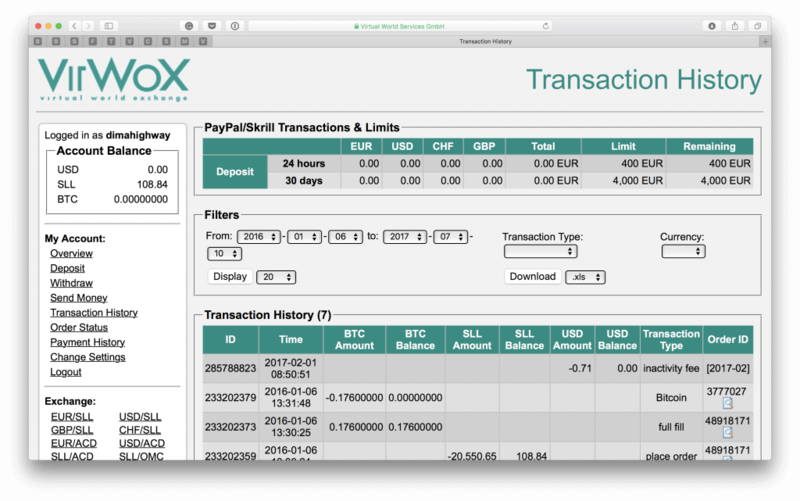 The most famous P2P platforms are LocalBitcoins and Paxful, whose regional service is globally available. All you would need to do is to find a trader that is located near you and directly communicate with him or her. The other type of exchange is the BTC broker, from whom you could purchase bitcoins directly. The most famous exchanges that offer various online purchase tools are Coinbase, Coinmama, BitPanda, Wall of Coins, VirWox, LibertyX, Bitit and many others. They vary in transaction fees, accepted payment methods and regional coverage, so you would need to carefully consider each of them to find which suits your needs the best. 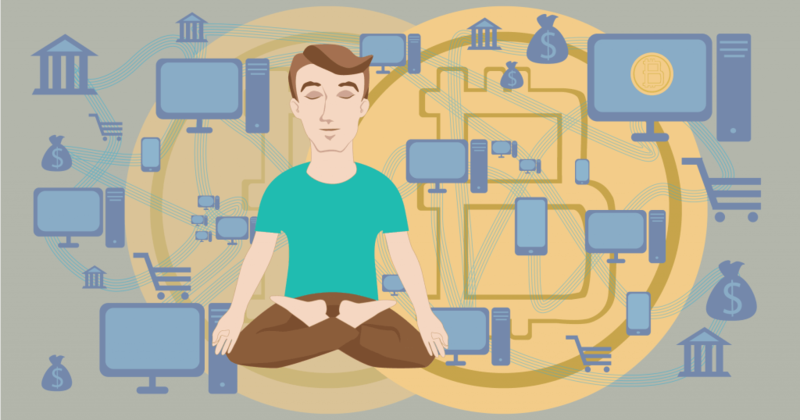 Are bitcoins anonymous? What makes bitcoin a great investment asset is the opportunity to buy it anonymously. Various exchanges would allow you to purchase BTC privately though many of them would charge you a high transaction fee for such luxury. There are other options out there for you to use should you wish to make your purchases anonymous. ATM machines provide great security with no ID verification. P2P trading could also be done with no verification if the trader is willing to work with you in private atmosphere. Lastly, you could also use BTC stores to purchase with no verification, though be advised that BTC prices would come with high fees, as is the case with ATM and some of the exchange brokers. How can I get bitcoins in my wallet? The average confirmation time for bitcoin to reach your BTC wallet varies from payment method and from exchange brokers. For credit or debit card purchases, the process is done instantly while for bank transfers, the BTC would wait in the escrow service while the payment is processed in usually two to five business days. Cash payments would take about an hour to a day, depending on the bank transaction processes, while PayPal purchases would get you BTC within an hour. Since bitcoin became quite popular, issues for investors have also been uncovered. Buying bitcoins in P2P markets have risks that you need to be aware of, such as scams and frauds by fellow traders. Make sure you buy them from reputable traders that keep their word. 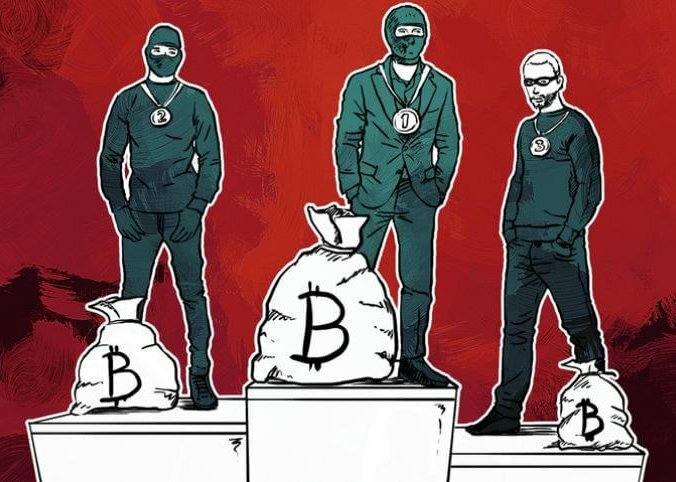 Concerning exchange brokers, make sure you regularly check BTC community (blogs, websites, forums) for fraudulent sites that have been known for stealing money and BTCs from investors. There are many brokers who would open up operations only to take the money and not deliver the cryptocurrency. The transaction fees vary from broker to broker, though the main difference lies in payment methods. Bank card payment fees range from 3% to 8%, depending on the currency and exchanger and are considered as a middle option in terms of how high fees are. Bank transfers are cheapest, ranging from 0.1% to 2% as they last longer than other methods and due to the heavy verification needed. PayPal and cash fees are similar to bank cards, ranging from 4% to 9%. ATM bitcoin purchases are more expensive than other methods, ranging from 6% to 12%, depending on the ATM manufacturer. You have several options when purchasing BTC online, them being bank & VCC cards, PayPal and bank account purchase methods. The first option is the credit/debit and VCC card payment. This method would land you digital currency instantly for a fee of 2% to 7%. Should you wish to increase your purchasing limitations, verify your bank account that is connected with your bank card. 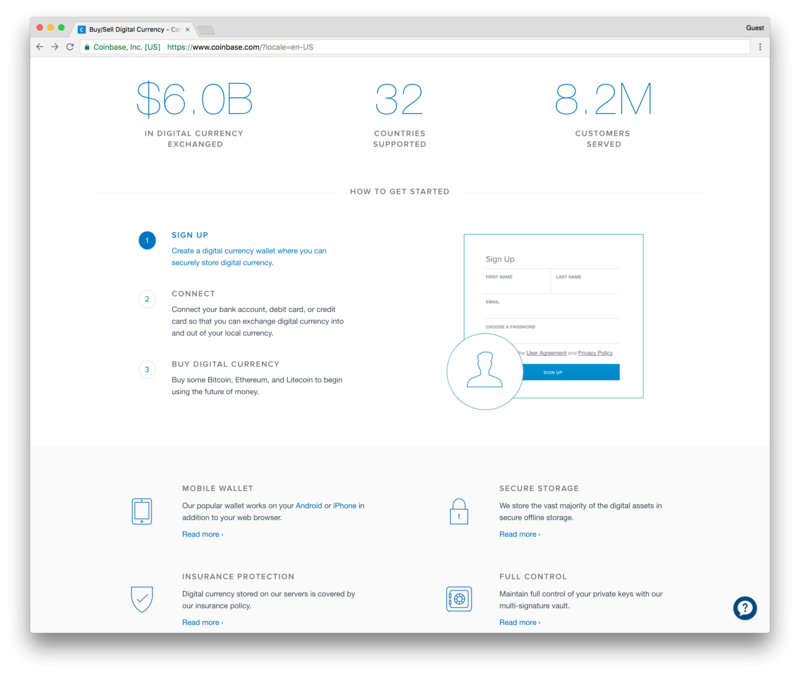 PayPal is another online payment option for some exchanges. 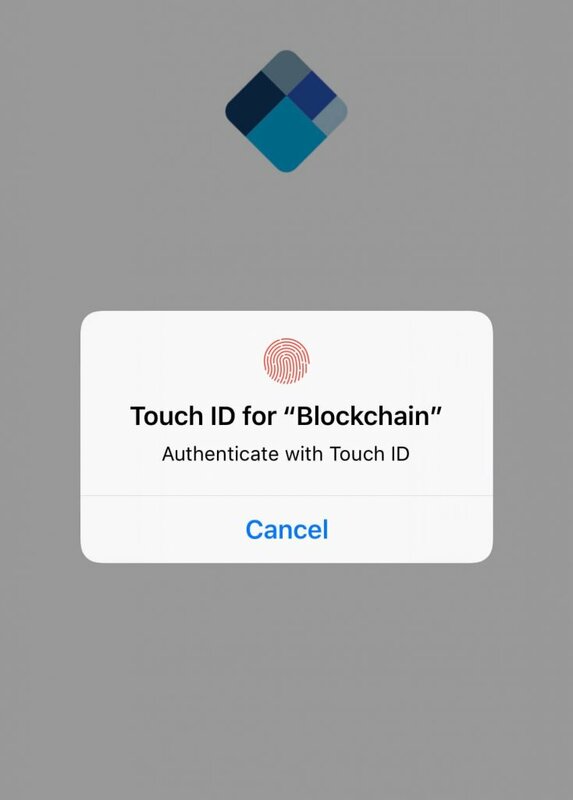 The verification requirements would be greater than for bank card, as they would want to whether you are a real or fake trader. You would receive your coins instantly if you choose this method of purchase. What is the best and most secure BTC wallet? The best wallets that you could obtain are hardware, BTC USB and paper wallets. 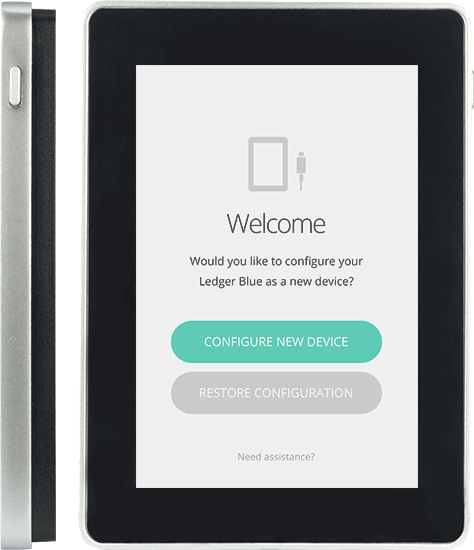 The hardware BTC wallets would provide you installed security and protection, while you could carry it with you wherever you choose to go. 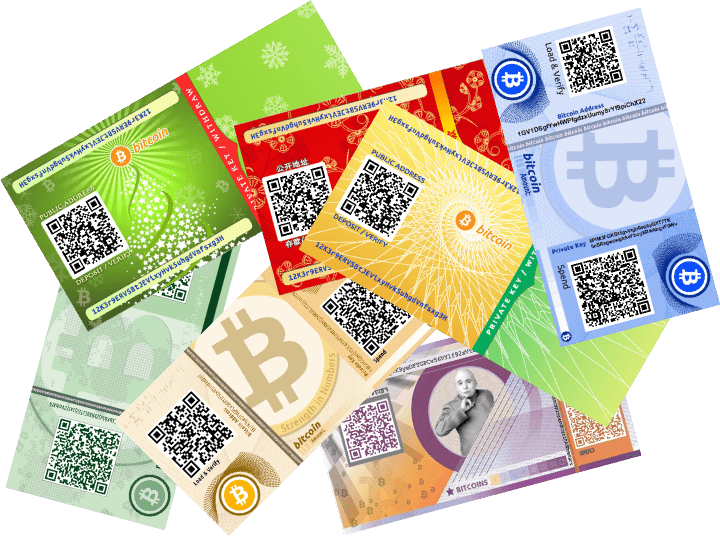 Paper wallets provide you with bitcoin address that you can access anywhere as long as you have the paper and computer with internet connection. The only downside is the durability of the address and the potentially complex situation should you happen to lose the paper. 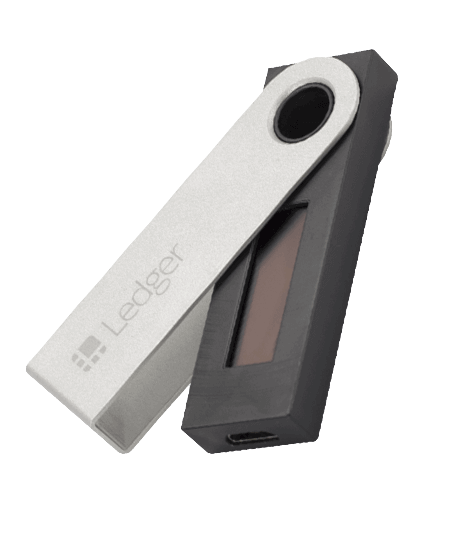 USB wallets are BTC address copied from the computer and has similar characteristics as hardware wallet with one important distinction – it does not have superior software protection from hacking attempts. 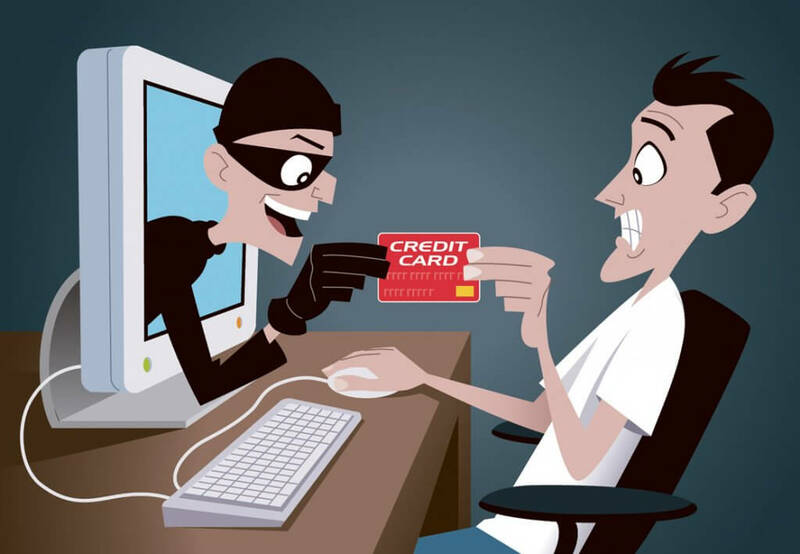 BTC wallet online is filled with threats from hacking attempts and it is best to avoid using those types of wallets. All purchase methods are easy if you know when and how to use them but several do stand out in their simplicity and speed. 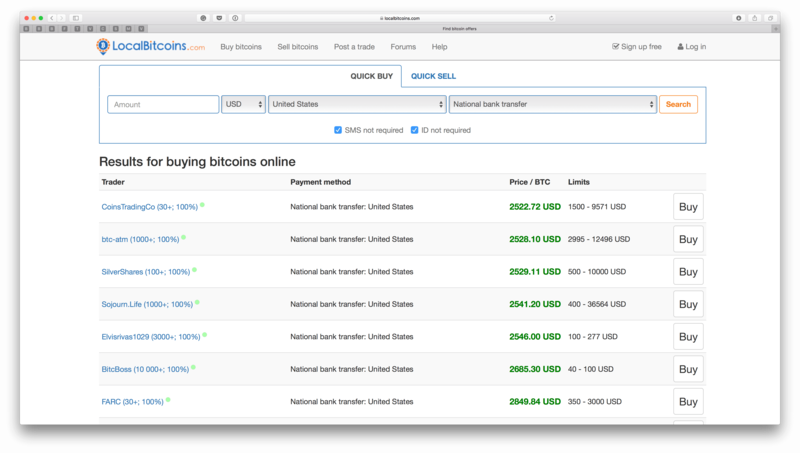 ATM bitcoin purchase comes as the fastest, secure and the easiest way to buy bitcoins. All you have to do is to go to the nearest ATM machine and put either bank card or cash in the machine which would result in you getting BTC instantly. Another way is to buy coins with credit card as you have to put only few details and have BTC in the same hour. There are several places that you can use to buy BTC from. First are exchange brokers like Coinbase, Coinmama, BitPanda, Wall of Coins and many others. The brokers offer large quantities of cryptocurrencies for traders to purchase while providing many purchase options for buyers. Lastly, there are ATM machines and specialized BTC stores, where you could go and buy bitcoins in person. There are various options that you can use when purchasing coins with credit cards, options like bank credit and debit card, as well as virtual credit card. 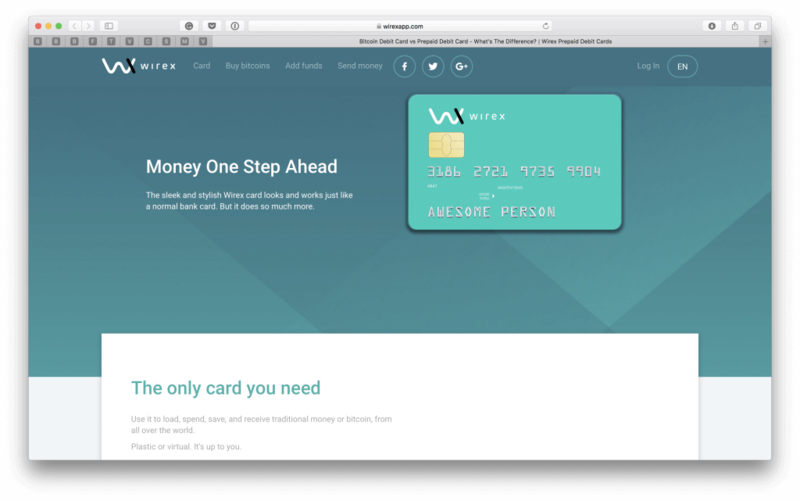 If you wish to check certain broker that you do not trust as of yet, get yourself a virtual credit card (VCC) from specialized websites or from your bank. The main perk of the VCC is that it is not linked to your bank account and it could be used once for one supplier. Although not as secure as a regular credit card, the main purpose of the VCC is to send funds to a source that is deemed as risky without large investment on your side. 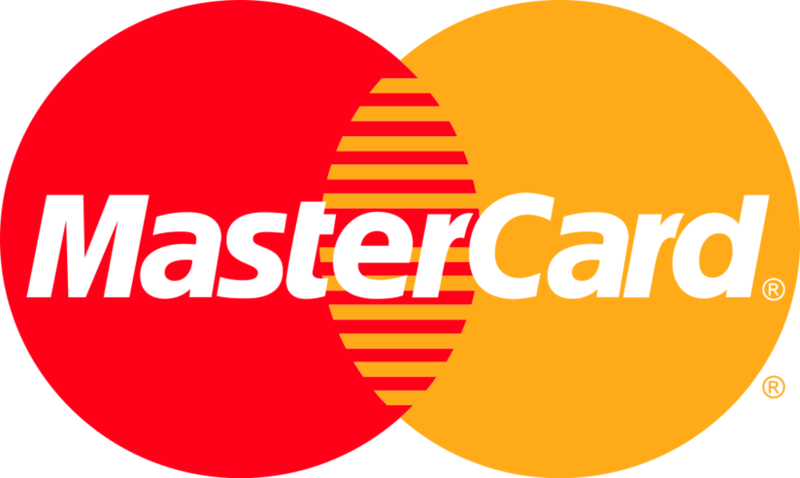 Many exchanges offer MasterCard as a purchase option as the transactions are completed instantly. The fees range between 2% and 7% and it offers price protection for its owners in next 60 days. Whatever exchange you choose to buy BTC, all of them have similar purchase steps, thus go to their buying page and fill out details of your MasterCard and proceed to finalize the transaction. If issued as credit or debit card, the process is the same as with MasterCard and Visa. Just fill out your card details and purchase coins from various exchangers online. You could even use the card to purchase BTC from ATM machines, just like any other debit/credit card. 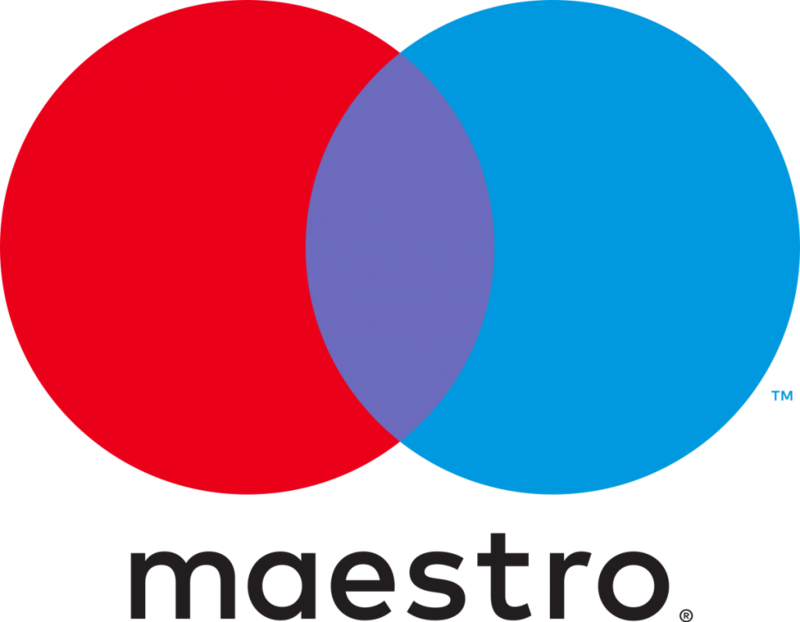 If the Maestro card is prepaid, you would be able to purchase from ATM machine and stores that have a terminal, as online purchasing is not available for prepaid card holders at the moment. Visa may not have the price protection that MasterCard offers but its 3D security measure became an instant success. 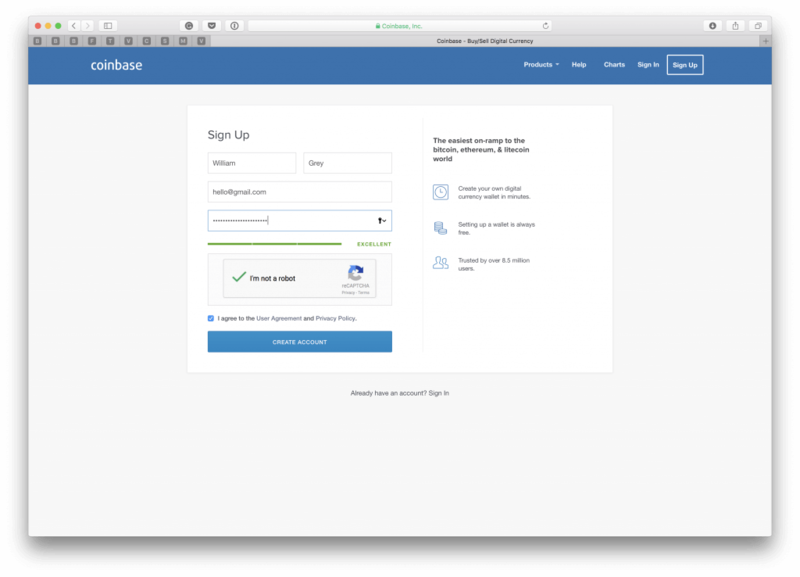 The two-way authentication is crucial to avoid potential hacking risk as the confirmation level would need to be done in two separate steps. The card purchase itself is the same as with MasterCard. Put your card details such as the name on the card, card number, CVC code and expiration date and the system will recognize the VISA credentials automatically. Both card manufacturers, MasterCard and Visa offer debit cards as another bank card alternative for its customers and exchangers are not making a big difference (if at all) between credit and debit cards issued by these two companies. The same steps of credit card purchase apply for debit cards. 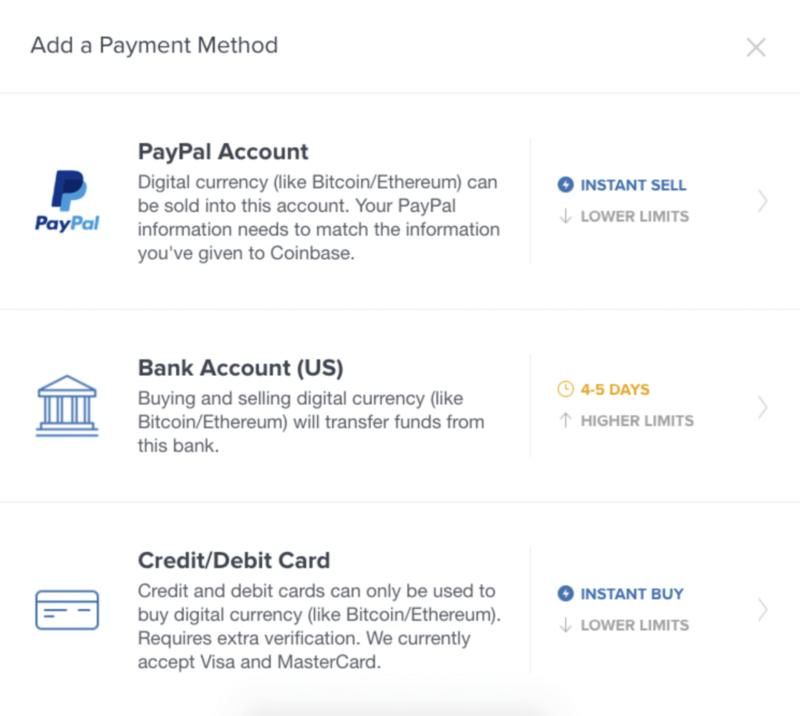 How to convert bitcoin to PayPal? 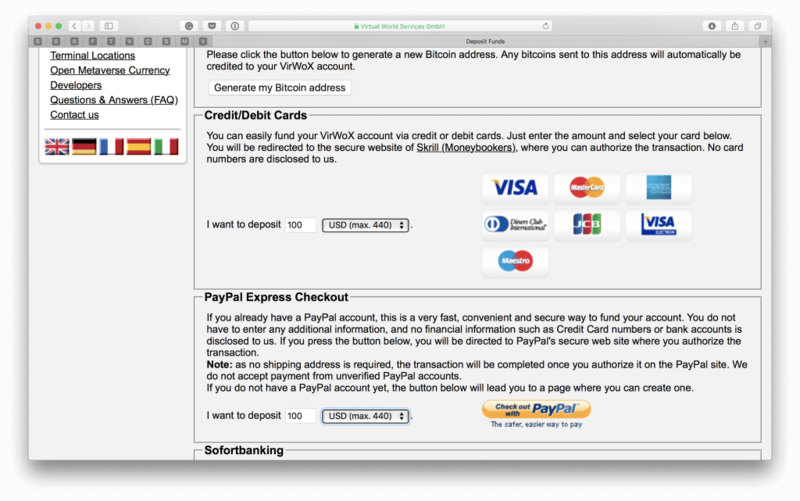 There are practically two ways that you can purchase bitcoins with PayPal. 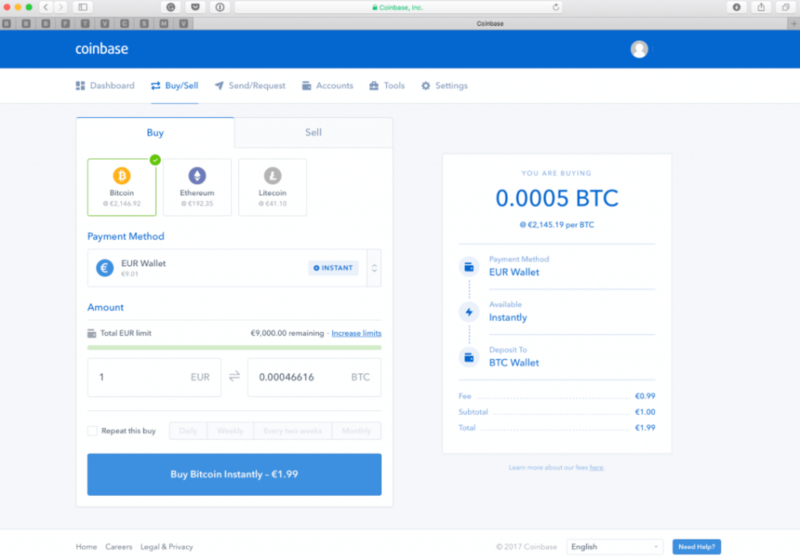 The first are exchanges that offer direct BTC purchase with PayPal and those are rather rare in the market. WebMoney accounts are deemed as not secure by many brokers and are thus reluctant to work with them. The other way is through VirWox albeit in a roundabout manner. You would purchase Second Life Lindens (SLLs), which is another digital currency, with PayPal. After you get SLLs, trade them with BTCs and transfer the bought bitcoins to your wallet address. Buying bitcoins for cash is possible in both P2P and broker exchanges. The P2P, you need to find a trader that accepts the cash payments for their BTC while brokers should list the cash out option under the accepted payment methods list. The amount of BTC that you could purchase through P2P is unlimited. You could also use cash when purchasing BTC from ATM machine and in stores that specialize in coin sales. How to find ATM machines near me? The ATM locations are available on online map and you can check all ATM machines and their locations around the world. 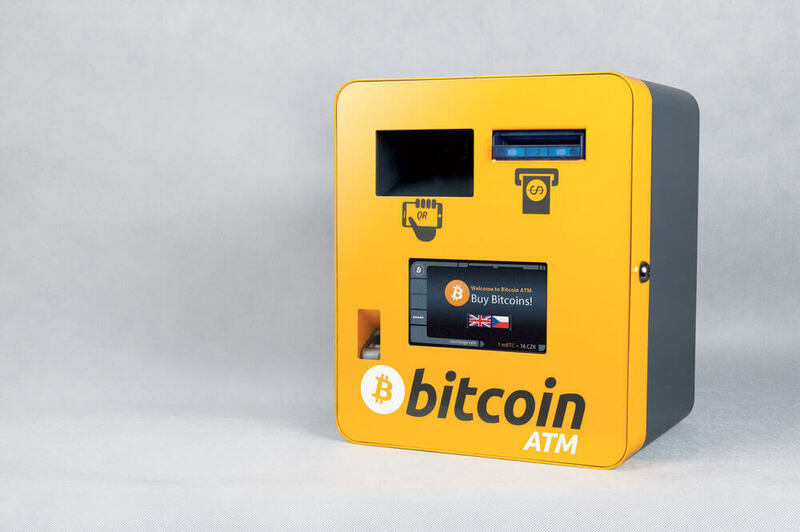 Once you find a specific ATM that is near you, click on the pin and read purchase information as it provides machine’s working hours, BTC’s price, fees and allowed purchase methods. Depending on whether you are American, European or from other parts of the world, bank transfers vary in transaction fees and length. The ACH bank transfers are available for the US citizens while SEPA for European traders. 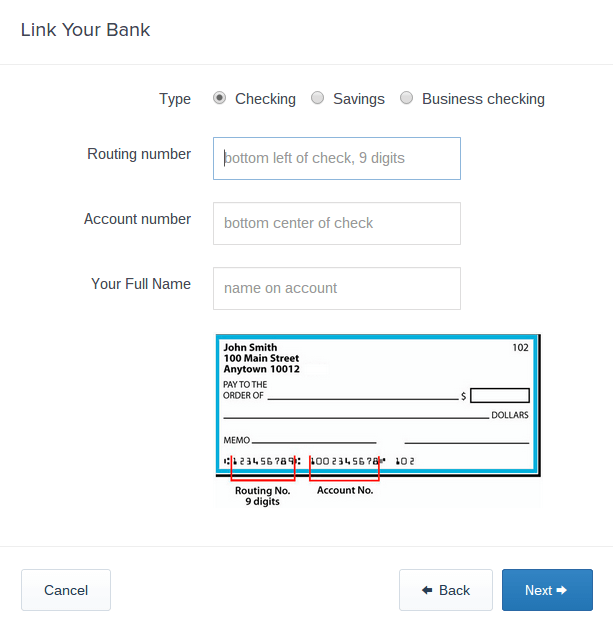 Other regions use SWIFT to transfer funds to other bank accounts. Most exchangers offer bank transfer as an option and fees are one of the lowest if compared with other methods, though heavy verification of account is needed to use this purchase option. Apart from online and in person purchasing, you could get BTC in several other ways. You could dig them though at a cost. The investments needed are rising over time, while produced volumes fall by half (currently a pool of 25 BTC could be mined). 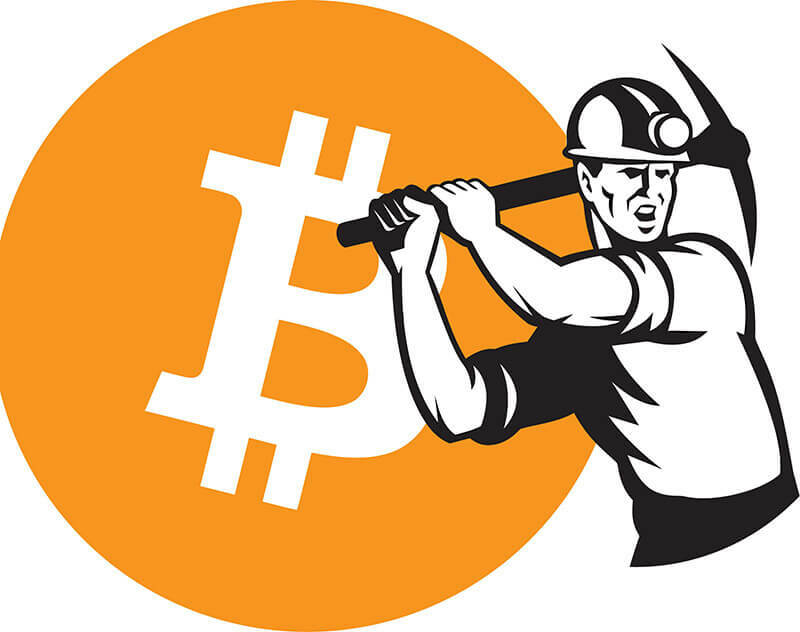 How long does it take to mine a bitcoin? Quite a lot, if you don’t have an adequate equipment. Another option is to engage in various online promotions and earn coins as an award, though take care to participate in promotions that are carried out by reputable organizations. Lastly, you could work and get paid in BTC for your services and/or products. 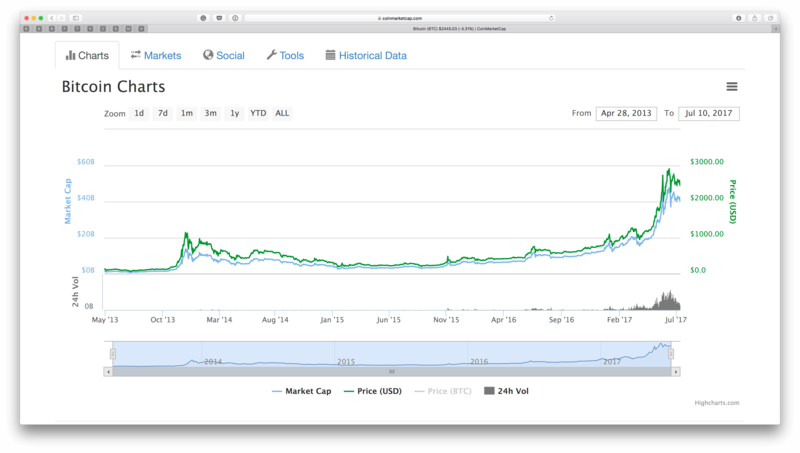 Bitcoin grows in value steadily and it is expected to grow even further in the future. The amount you buy now will pay off later on as you can sell it for a higher price as the value grows. 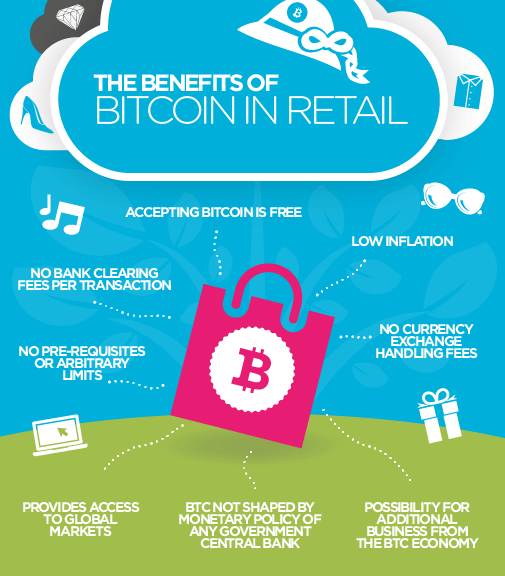 Additionally, many businesses are now offering bitcoins as another purchase method for their goods and service. Many of them offer great discounts if you choose to do online shopping with BTC. You should get a bitcoin account. To be able to purchase coins, you need to make a wallet account and accounts in various exchanges. The wallet account is generated online and stashed in either online or in a hardware device. The account you make in exchanges is required by al brokers and P2P platforms, so make sure you get your credentials everywhere. You are allowed to purchase BTC from various websites, thus keep track on where you registered. Lastly, register yourself in forums of your choice since news, events and help could get a lot of vital information for you to use. How to profit from BTC? The best place and time to buy BTC is when the price is expected to grow in near future. You buy it when the BTC is cheap so you can sell it when it grows in value. Also, keep eyes on major events that happen in markets, such as big businesses accepting BTC as a prime trading tool or when hack attacks occur. Can you buy a fraction of bitcoin? Who said that you can buy a whole bitcoin only? 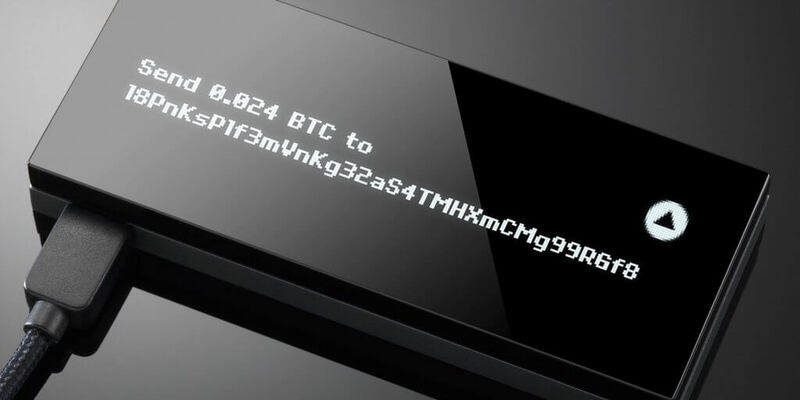 You can buy the smallest unit of 0.000000001 BTC and it is called «satoshi». 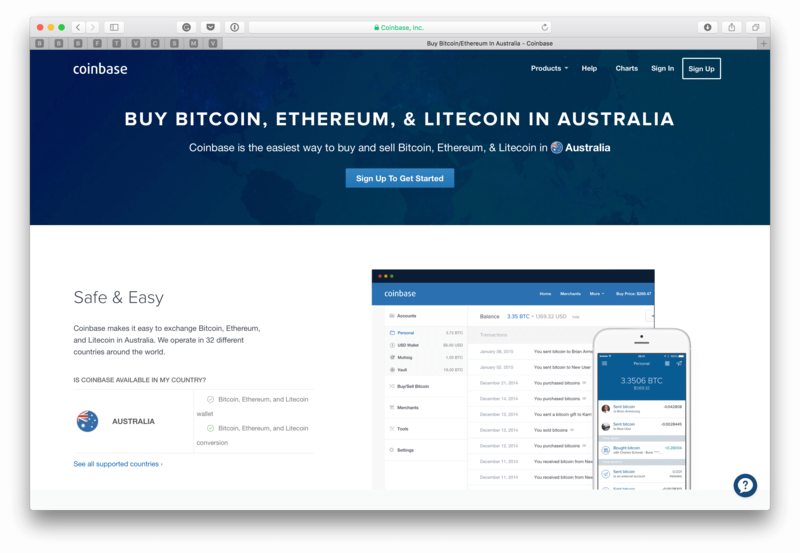 You are allowed to buy bits of them and many brokers are offering payments as low as $25. As you can see, you don’t need to have large amounts of funds to start trading bitcoins. Buy a fraction and sell it more expensive to gain higher investment capital. Yes, you can, as there are exchanges and stores that allow for private bitcoins purchases. Many investors, just like you, have started their BTC trading for this sole purpose. You can purchase bitcoins in P2P platforms from traders without verification. Cash purchases in store and ATM machines would require no ID as well. Some exchanges allow a very low amount of BTC purchase but if you buy from multiple brokers, you would gain access to larger quantities of coins anonymously. The duration of transfer from seller to your wallet depends on the method of purchase. Cash purchases would take an hour before the BTC finishes in your wallet. Bank card purchases would get you a bitcoin instantly while band transfer would take between a day and five business days. Also, if you decide to trade in P2P with traders, the transfer duration would depend on trader as well, as they are the ones that need to verify that funds from you have been received. Mine or buy? Currently, it would take over $10,000 to start your mining operations and the mining costs are expected to rise even more in the future. On another side, BTC stack is currently standing on 25 BTC, which could take quite a while to mine if you do not have the right equipment. If you don’t have that sort of capital, purchasing BTC is safer and easier way to get them. After that, just put it up for sale once the price goes up. There are several ways that you can use to sell your bitcoins. Buying and selling are allowed in all P2P platforms, as the people you buy coins from are also buyers from time to time, so you can sell them what you’ve bought a few days ago. Brokers also could allow you to upload BTC to your account and then withdraw funds in USD or EUR, effectively selling them to those brokers. Lastly, you could find ATM machines that offer to buy and sell as options and sell your BTC there as well. Buying bitcoins could be done by any individual who is over 18 years old, group or organization all over the world as most countries are considered to be bitcoin countries. 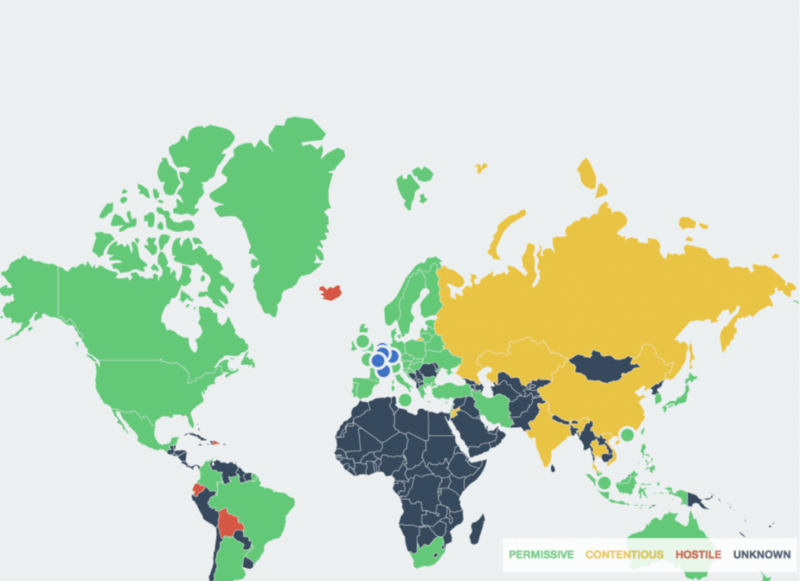 Only a few them have declared BTC as an illegal asset to work with and those are Bolivia, Ecuador, Kyrgyzstan and Bangladesh. In all other countries, you are quite free to buy and sell BTC, as well as use them to buy other products and services. The main issue with bitcoins is their stocking safety. In the past, numerous websites have either been hacked or have turned to be run by scamming organizations. 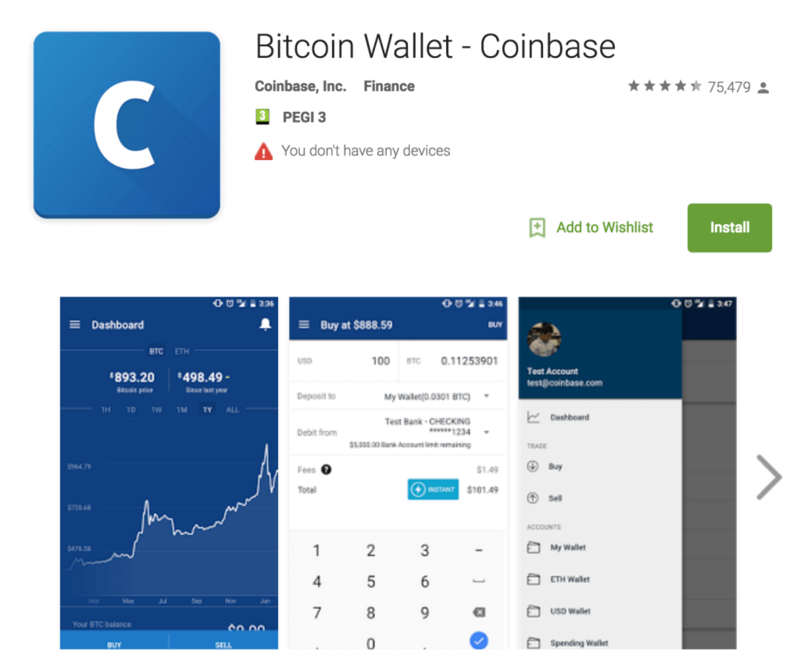 Giant brokers like Coinbase are in constant threat of being hacked by a group of cyber criminals, thus keeping cryptocurrency in hardware wallet is highly recommended. Keep track of these events, especially of scamming websites. Bitcoin community has built various forums where you can find a list of exchanges that have stolen BTCs and funds from traders and it is advisable to keep track of those lists on daily basis. Does bitcoin have a stock and is bitcoin a stock? BTC, although traded as an asset, is not a stock itself. You can buy it as any other currency; the only difference is that BTC exists only in the digital world. Can you buy stock in bitcoin? That transaction, on the other hand, is quite possible. You can do so at broker websites like 1Broker, where you can trade stocks with BTC instantly. Bitcoins are traded online thus there is no need to have a physical bitcoin to prove its existence in any case. 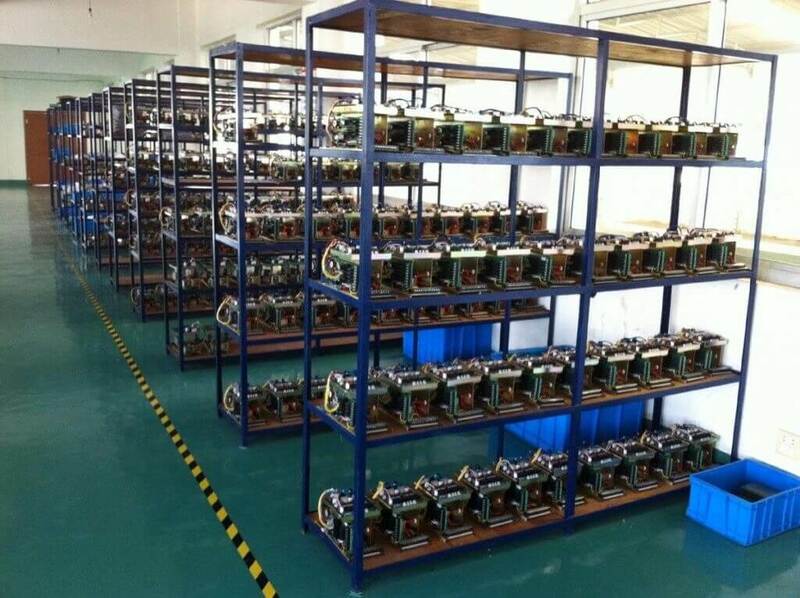 Additionally, many businesses have tried to start physical BTC production, only to stop its operations due to many different reasons (lack of buyers, legal issues, etc). The most famous examples of failed operations are Casascius and Alitin Mint. BTC is quite popular in China. Due to the strictly political and economical control, Chinese traders are faced with rules every day, limiting their business options. BTC is not controlled by anyone nor by any institution, so they can be freely handled by Chinese investors. Is bitcoin legal in China? 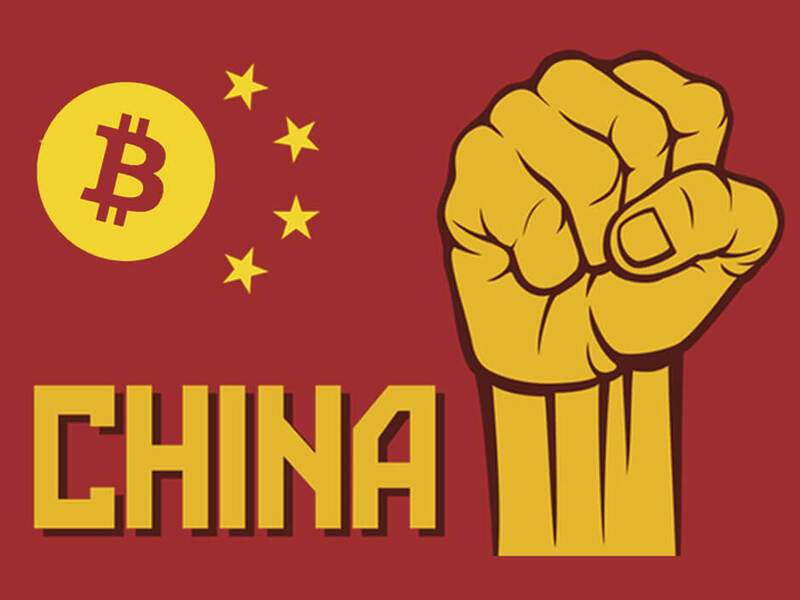 The lack of control allows Chinese to work with it as they please while keeping the profits for themselves as the BTC is not yet fully regulated in China. Currently, China leads in number of miners due to the decentralized nature of the digital currency. 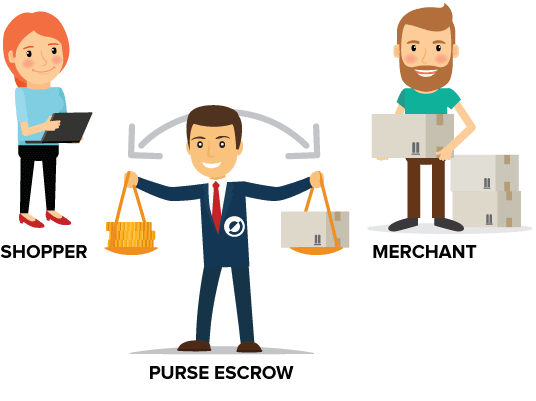 Multiple exchange transactions refer to an option of buying and selling coins on multiple platforms at the same time. 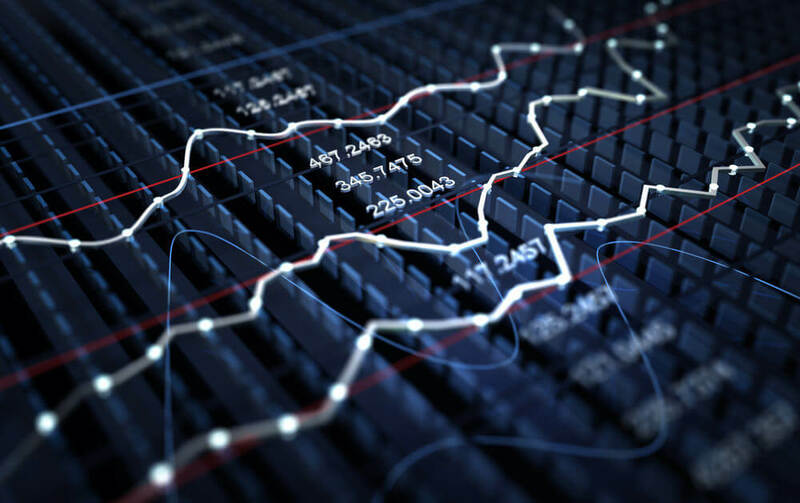 The reasons for such conduction is to spread your funds along the market to catch more profitable values while you are purchasing, while, at the same time, you would try to overcome limitations set by individual brokers. Do you have to pay taxes? The fees vary greatly between purchasing methods and by exchangers themselves. For bank transfer, you would pay between 0.1% and 2%, for bank cards and PayPal fees vary from 2% to 7%, cash payments between 1% and 5% while ATM purchasing would cost you from 6% and above. 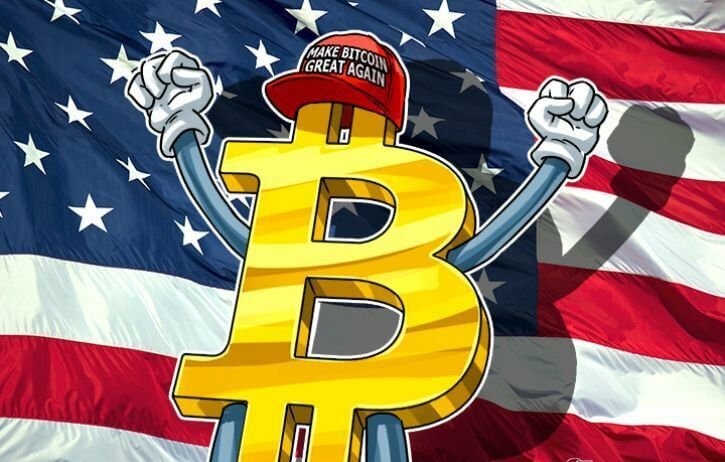 If you live in the US, UK, Canada, Australia, Germany and other similar tax jurisdictions, you would be expected to pay taxes for bitcoins transactions, no matter if you have mined, bought or sold them to a third party. 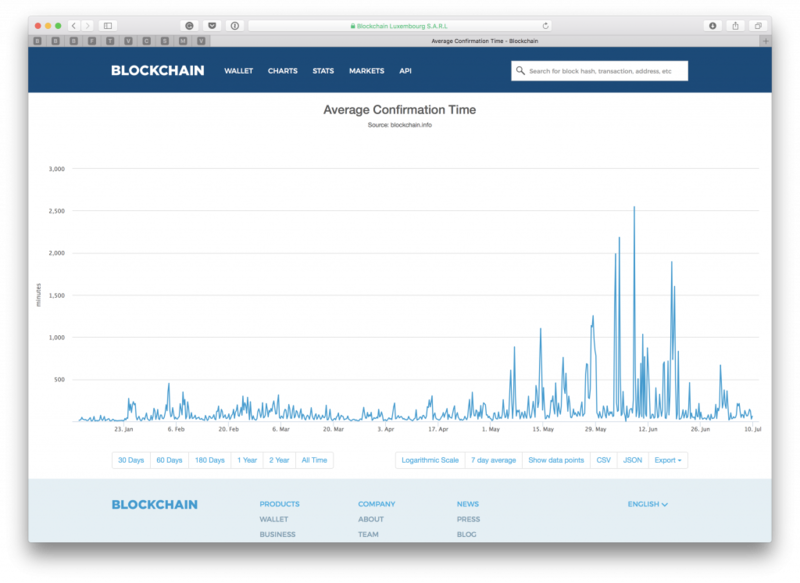 With popularity, bitcoins attracted a lot of unwanted attention as well. You would need to protect yourself from scams and hacking attempts if you wish to keep your BTCs and funds safe. Keep an eye on exchange reviews from other traders, use hardware wallets and escrow service and stay clear from altcoins until you get a hang on cryptocurrencies. Keep a record of where major hacking events took place and what brokers were deemed as scammers. Your funds and BTCs should not reside in websites but safely in your wallet, thus avoid depositing large funds or BTC online if you don’t intend to trade the entire amount immediately. Deal only with trusted site and traders and make sure everyone follows agreed upon sequence of action. 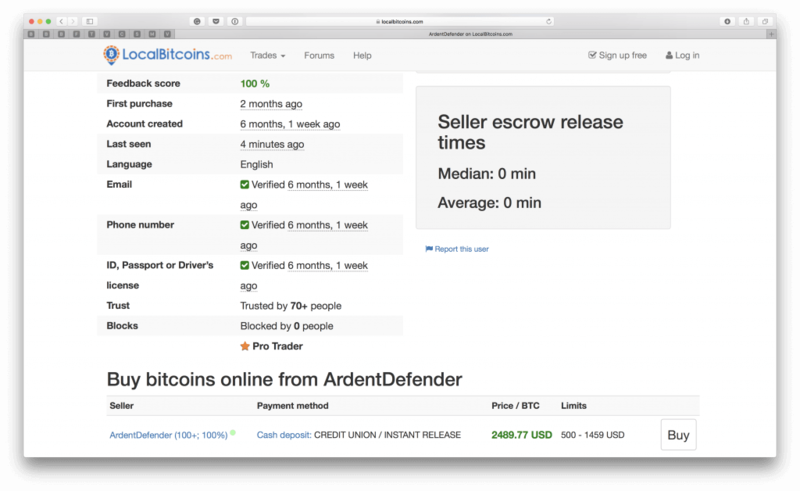 When you make transactions online with bitcoin, ensure that your funds would first be transferred to escrow service while the opposite side does the same. Additionally, insist on BTCs being stashed in escrow service while your funds travel toward the seller to ensure you get BTC at the end of the transaction. Many altcoins tried to copy the BTC success but have failed in doing so due to many correlating reasons. First, bitcoin built itself a powerful infrastructure all over the world while no other online currency has successes to do so. Due to the lack of interest, many of these altcoins would grow very quickly in value at the beginning only to disappear in next few months once the bubble was busted. You should research about alternative cryptocurrencies before you get in as there is a good chance that it might go down in value fairly quickly if interest falls sharply. Of course, you can if you follow our guide carefully. 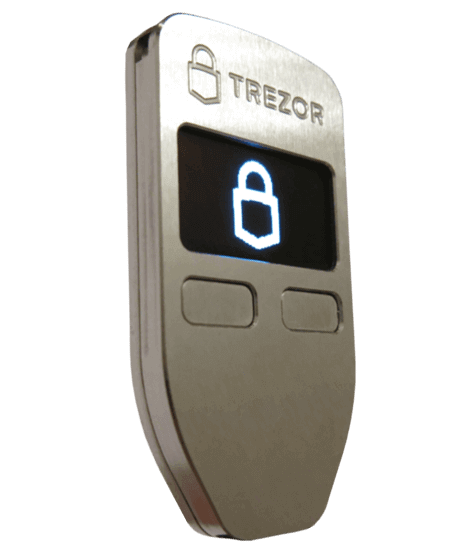 Firstly, you need to get a secure address where you can stash your coins after the purchase. 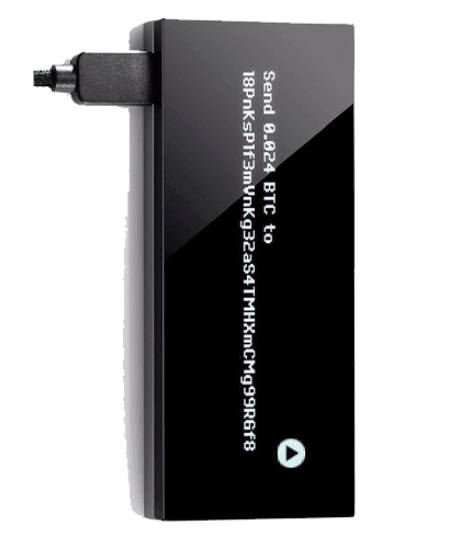 The recommended wallets to have are hardware and USB wallet and avoid online stocking of your BTC if you can help it. Are bitcoins safe to purchase them? Work with reputable exchange brokers that are known for positive business conduction as well as security so your personal information would not end up in the hands of hackers. How is bitcoin secure in my wallet? The two most secure wallets are hardware and USB BTC wallets. Hardware is more expensive to get but is considered to be the safest place currently to stash your BTC. They can be ordered on Amazon and come in different shapes and tools provided. USB wallets are quite inexpensive as any USB device would work. You can copy the address you made on your computer and paste it on USB and have the wallet function offline and online. Although the USB wallet provides the minimum software protection, it is quite affordable and easy to carry with you no matter where you go. Once you have created your bitcoin address, you can copy the program into the USB and use it online and offline as well. If you are located in Saudi Arabia, you can buy digital currencies in the peer to peer platform called Paxful. The P2P platform charges buyers with 1% of transaction fee while traders set accepted methods according to their needs. You could also find various kiosks that have large quantities of coins for purchase and negotiate with them directly. 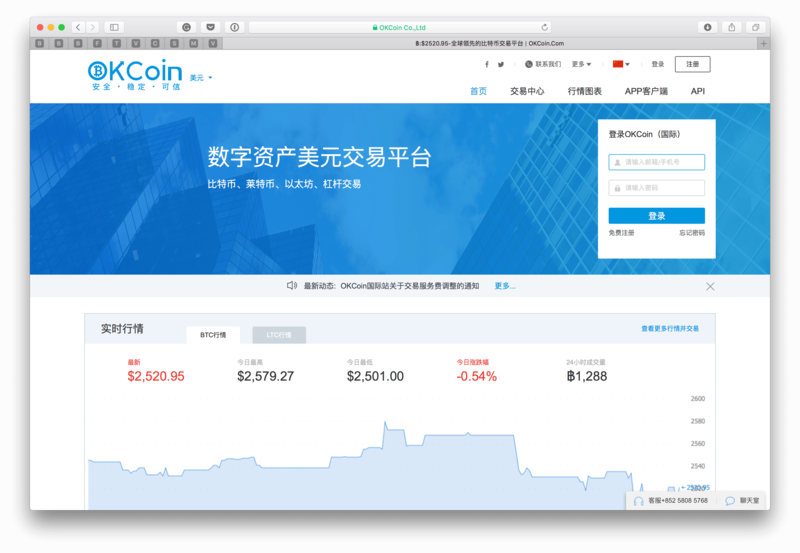 The major exchanges that are selling BTC in China are OKCoin, BTCC, and Huobi. The transaction fees for all three of them are below 2% if the payment method is bank transfer, while other methods go up to 4%. Do take into account that Chinese government has set a limit of trade to the value of 350,000 Yuan (approx. $50,000) yearly. Although the UK banks are still reluctant to work with bitcoin (they accept SEPA transfer only in GBP), various exchanges have been established in recent years, making the UK one of the top countries in BTC trading. The most popular brokers that you can buy BTC from are Bitstamp, Coinfloor, CoinCorner, Coinbase and UK-based QuickBT while most famous bitcoins UK P2P platforms are Bittylicious, BitBargain, Coinfloor Market and CryptoMate. 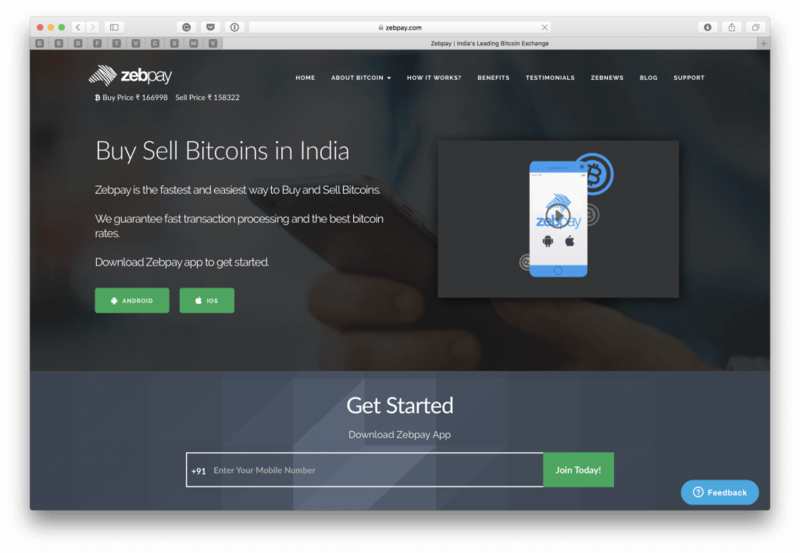 In India, you could purchase bitcoins from exchanges like Unocoin, Zebpay and Coinsecure. The most used payment method is either NEFT or RTGS as these methods have transaction costs of less than 1% (depending on the volume it could go as low as 0.1%). The minimum purchase limit of bitcoin trade for all three brokers currently stands at 1,000 INR ($15). How to buy bitcoin in Canada? To get BTC Canada, you could purchase bitcoin with CAD and USD and exchanges that offer both currencies are numerous. 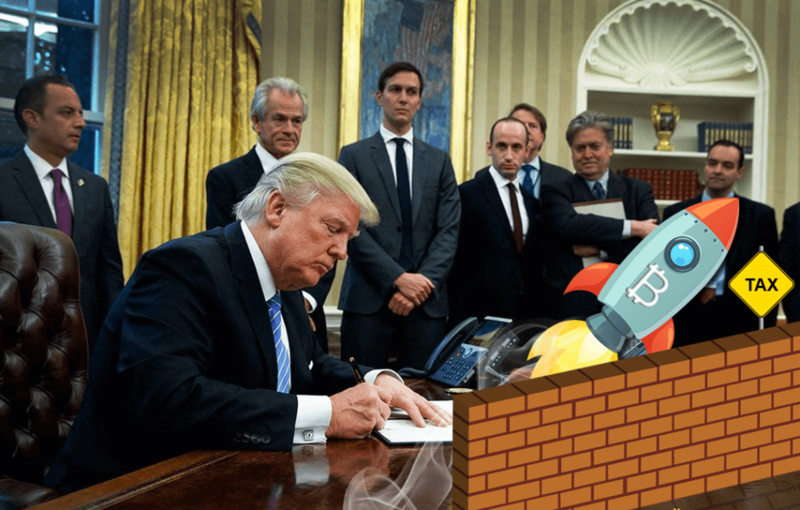 The most famous brokers are Canadian bitcoins (based in Ottawa), Morrex (based in Quebec), Coinbase and LocalBitcoins. How to buy bitcoin in Germany? If you live there, you can buy bitcoins with EUR currency in exchanges like Coinbase, Coinhouse, Coinmama, Indacoin, Kraken, LocalBitcoins, Bitcoin.de, CoinGate, Spectrocoin and BitPanda. The bank transfers that are most popular are SEPA and SWIFT though some of the exchanges are based on one or two countries only. Make sure the broker covers Germany in order to be able to trade BTCs. In Malaysia, the most famous BTC broker is considered to be Luno, as the exchange serves the region in domestic currency as well as in USD and EUR. The transaction fees stand between 1% and 0.5%, depending on the volume traded. Limitations, if verified fully, are set at 1,000 EUR daily and 62,000 EUR monthly. 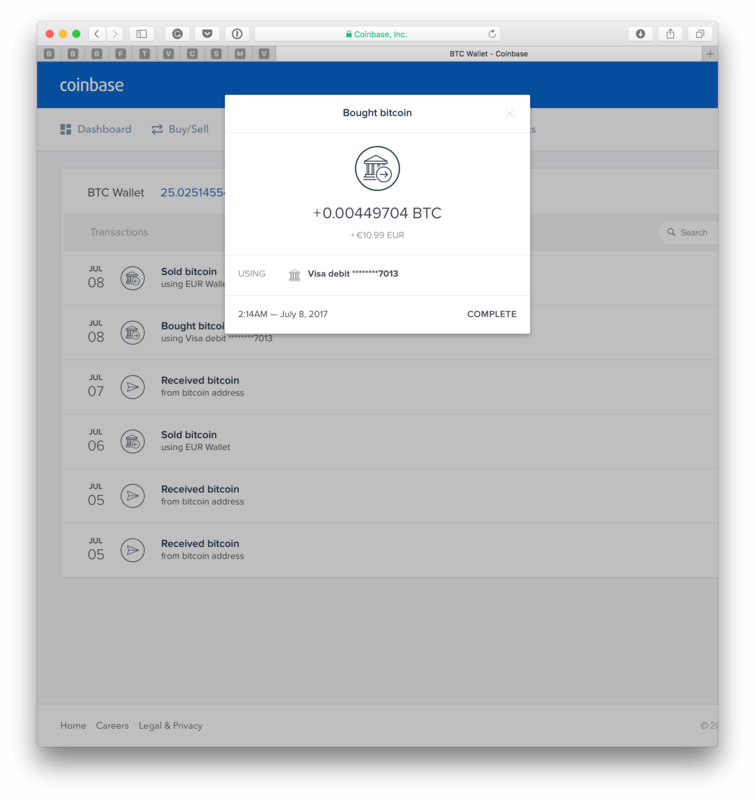 In Nepal, you could purchase bitcoins from LocalBitcoins, Bitsewa, CoinMill and Coinbase. If you are located in Australia, the AUD currency is available in many exchanges that operate in the region. The most famous exchangers are CoinJar, BuyaBitcoin, Independent Reserve, Coin Loft, CoinBase and LocalBitcoins. On average, the cheapest way to purchase bitcoins is through bank transfer where transaction fees stand generally around 1%. The bank transfers require full verification, thus if you wish for private transactions, cash purchases stand between 4% and 5%. Japan is known for large bitcoin brokers such as bitFlyer, who offers large quantities of bitcoins for a transaction fee of 0.15% through bank transfer (SWIFT). 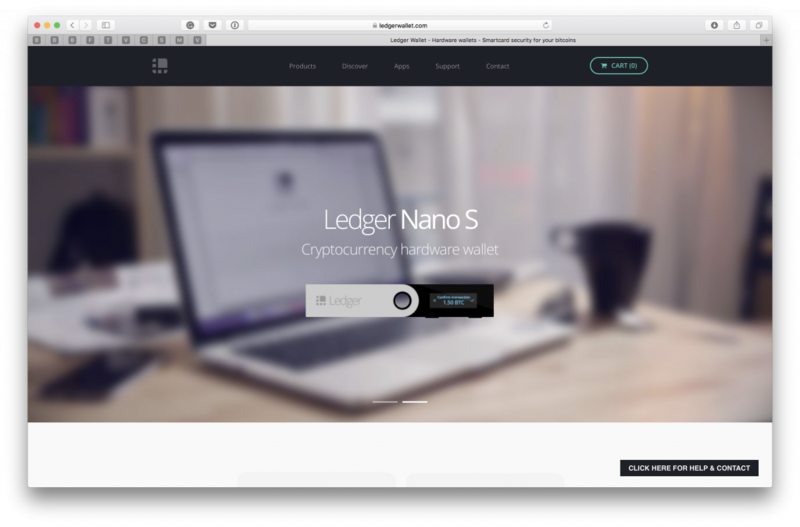 The broker is also considered to be one of the most stable exchanges with no hacking history so far. 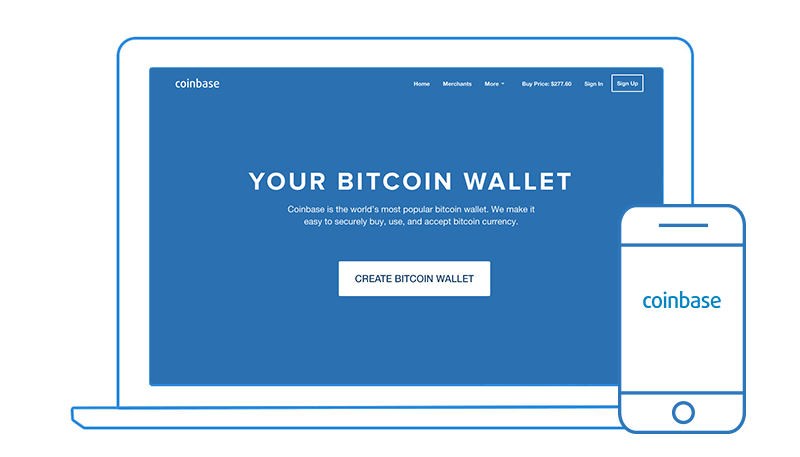 There are other exchanges of course, such as LocalBitcoins, BTCC, Coincheck, and Coinbase. Luno is present in Nigeria as well. Since Luno is based upon American capital, the exchange offers bank transfers as methods of payment for a fee of 1% (could go lower if the volume is greater). How to make money with bitcoin and how to earn online? Yes you can, though make sure you research about the faucets before you engage in promotions. Many of them are scam sites, asking for fees to be paid while not delivering promised bitcoins, making earning bitcoins a complicated process. How to get paid in bitcoin? Making money with bitcoin could also be done through lending to businesses and earn them as interest payments. Many exchangers have also introduced mobile applications for their customers to download and use on mobile devices. 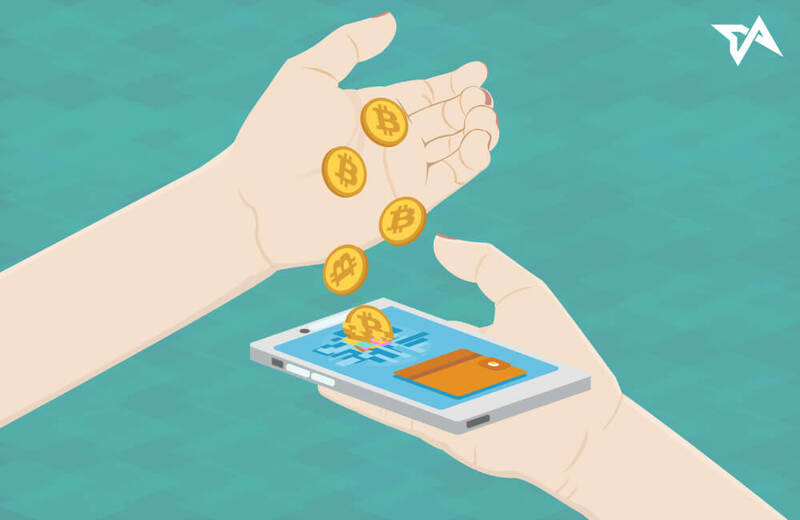 The iOS and android apps are equally present in the BTC market, thus no matter what phone you have, you can count on having possibility to purchase BTC from your phone. 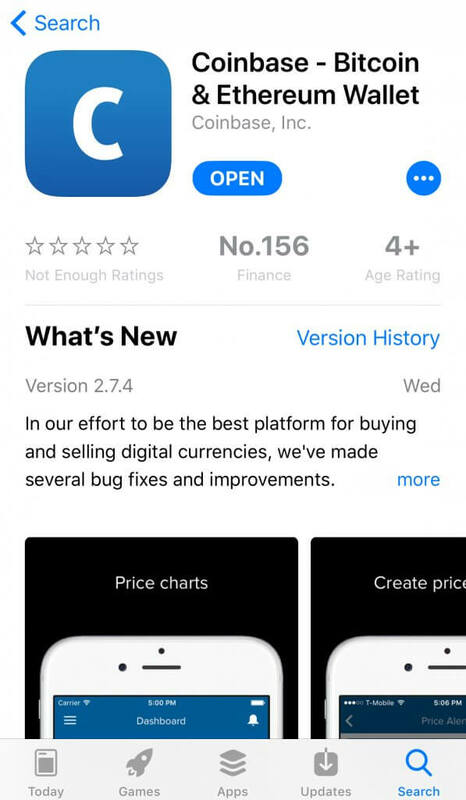 For iPhone users, many exchanges offer iOS applications for traders to download and use through their phones. The main benefit of the iOS apps is the simplicity and access to trader’s profiles at anytime and anyplace. 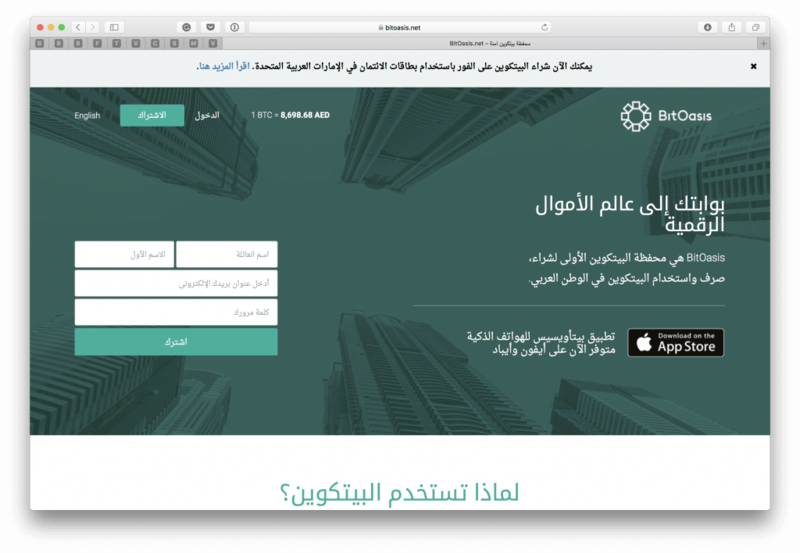 You can register yourself in any large broker and find their downloadable content for iOS devices on the App Store or iTunes. Android applications function very similarly (if not the same) as iOS applications, with only major differences being the type of the phone you own and the store you download the app from. The Google playlists broker’s apps if you want to trade bitcoins from your Android mobile.